Restoring your smile to its natural brilliance after losing your teeth is easier than you think, thanks to dental implants. 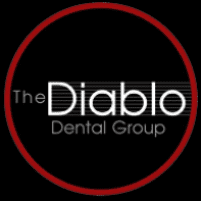 At The Diablo Dental Group in Danville, California, a team of dentists is available to fit you for safe, secure, reliable dental implants that will last a lifetime. Call The Diablo Dental Group or book an appointment online today to learn more. Dental implants are essentially artificial tooth roots that are screwed into your jawbone and surrounding tissues to provide support for tooth replacements, such as dentures or dental crowns. Opting for dental implants over less permanent options allows you to eat your favorite foods, kiss, laugh, and smile with confidence, without worrying about your dentures slipping around or your crown coming loose. Above all else, dental implants look, function, and feel exactly like your natural teeth, and The Diablo Dental Group can help customize and fit the restorations to your exact needs, ensuring you receive the best dental implants for your smile. Believe it or not, missing teeth affect more than your smile and confidence; it also puts your mouth at risk of further damage and decay. Leaving these empty spaces in your mouth can lead to jawbone deterioration if left untreated for long enough. Talk to The Diablo Dental Group the moment you lose a tooth to discuss your options and prevent further tooth damage. With a lengthy process, dental implants are a serious, permanent decision for patients with missing teeth. Once you and your dentist decide that dental implants are the right option for you, it will be time for your initial consultation, where your dentist will take X-rays or three-dimension images, as well as impressions of your teeth. To support the implant, you must have an adequate amount of jawbone and tissue. If you don’t, your dentist may have to perform a bone graft procedure before beginning the implant process. At your next appointment, your dentist will use local anesthesia or IV sedation to help you relax while the implant is placed into your gums. The implant is screwed directly into your jawbone to offer the most secure fit possible. Over the next six to 12 weeks, your artificial tooth root will naturally become secured into place as your jawbone and gums heal around it. This makes your dental implant a permanent, natural part of your smile and ensures that your new artificial teeth stay in place. Once you have fully healed, your dentist will place either dentures or restorative dental crowns over the implant to revitalize your smile. To learn more about the dental implant process, call The Diablo Dental Group or book an appointment online today.